Bitcoin is the biggest and most popular cryptocurrency in the world. It was invented and conceptualized in 2009 by unknown person using the alias Satoshi Nakamoto, who also implemented the first blockchain. Because of utilization of famous security protocols and full anonymity, bitcoins are getting closer and closer to becoming a great alternative to currencies we use every day. Cryptocurrencies are mainly stored in online, software and hardware wallets, which ensures owners anonymity. Because of that, online bitcoin gambling became very popular. Online bitcoin gambling comes in many forms. Various casino games, poker, sports betting are the most popular ways of gambling with bitcoins online. Many sites such as Cryptoskull Bitcoin gambling, Cloudbet or GamblingBitcoin provide a big variety of gambling with various interesting games and prizes. But there is a big problem BTC gambling faces today. Massive bitcoin transaction fees are creating disinterest in gambling with this cryptocurrency. Just a month the average bitcoin transaction cost was 55USD ! Because of this outrageous situation, owners of gambling websites are forced to take action. But how exactly bitcoin gambling website deal with these ridiculous bitcoin transfer fees? After noticing a growing outrage and disinterest in bitcoin gambling, a few sites started using other cryptocurrencies. 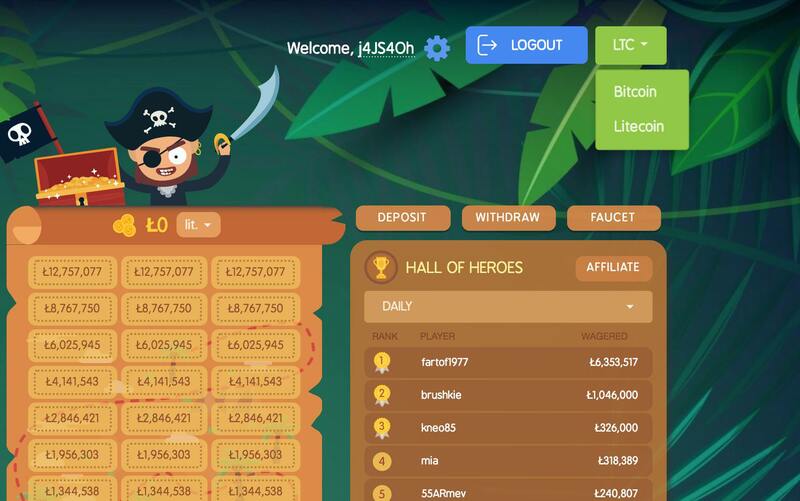 Gambling websites, such as SatoshiDice and 8Bet replaced bitcoin with bitcoin cash, while Cryptoskull implemented Litecoin to their website. Because of high fees and long confirmation times, these gambling sites had to implement new cryptocurrencies or even replace bitcoin. If these problems are not solved, many other websites will be forced to do the same. Another possible solution, which may solve these problems, is implementation of SegWit and Lightning network. If implemented, changes to Bitcoin's blockchain will address problems of speed and enormous transaction fees. Segwit is a code change which is meant to solve Bitcoin blockchain size limits and allow faster transaction. Implementation of these changes depend on Bitcoin users. Currently only about 12% of bitcoin network uses Segwit. If more entities embrace this technology, transaction speed of world's most popular cryptocurrency should become faster. Lighting Network addresses problems of high transaction costs and speed. This fix will allow fast and cheap transactions for bitcoin and other coins by using bunch of tricks. These changes in code have been Implemented by Ethereum. Implementing Lightning Network also allows cross platform atomic swaps, so it can be used to trade one cryptocurrency to another without any exchange. DISCLAIMER: We have no association with gambling sites mentioned in this article.